Jim Shemroske founded Tri-S Recruiters in 1992 with his cousin Mark Shemroske. Jim earned his MBA from Eastern Illinois University, with a special emphasis in Human Resources, Accounting, and Marketing. As a former instructor in Human Resource Management & Organizational Behavior at the university level, Jim understands the impact of Human Resources with organizations of all sizes. He is an acclaimed award-winning recruiter. He has the experience needed to match exceptional candidates with exceptional organizations. His 25+ years of match making afford him the right to make such a claim. Jim has advanced the careers of thousands of professionals throughout North America, Europe, and Asia within a variety of industries at organizations that range in size from sole proprietorships through Fortune 25 firms. His expertise lies within matching his client companies’ needs with that of his candidates’ career goals. Mark founded Tri-S Recruiters in the summer of 1992 with his cousin Jim. Mark’s focus is to provide first class recruiting services to our clients with the goal to exceed their expectations. Mark is a leader in new business development, creating synergistic relationships domestically as well as internationally for the company. He has over 25 years of professional recruiting experience working with executives from mom and pop shops to Fortune 50 corporations. Rosanne joined Tri-S in 2002 and has over 15 years experience in Office Administration. She has grown into a variety of roles at Tri-S and is responsible for managing the day to day operations of the office. She consistently strives to provide a strong foundation to the business and makes it possible for our employees to function effectively and efficiently. Rosanne also maintains the company website and its presence on all social media platforms. Joe has been employed by Tri-S Recruiters since 1995 and his focus is in the recruitment of ERP IT professionals. Joe specializes in the recruitment of JDE E1, SAP, PeopleSoft, Oracle, Microsoft, etc. professionals. He also belongs to several organizations whose members are some of the top recruiting firms in the world. This allows Joe to work daily with our global partners to source and place candidates across the world in virtually any industry or domain. Tracey has been with Tri-S Recruiters since 1994. Her main focus is the recruitment of IT professionals in the .Net arena. 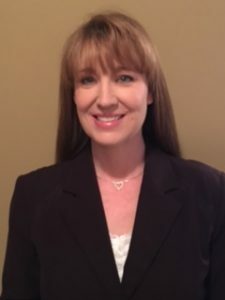 She is a member of several organizations that gains her access to companies and candidates throughout the U.S.
Rick joined Tri-S in 2013 and specializes in direct and contract placements of Information Technology professionals. Rick has worked in the IT industry for 30 plus years on multiple IBM platforms from in-house analysis and development thru 3rd party package implementations. He is intimate with the inner workings of the IT industry and is able to filter the best candidates from those available for specific industry requirements. Meggan started at Tri-S Recruiters in September 2013. Her main responsibility is sourcing for the recruiters, but she also assists in a variety of special projects. She has a Bachelor’s degree from Northern Illinois and a background in Marketing. She enjoys the challenge associated with this new venture in the IT world.